We'll help you save on SGI Insurance! SGI Canada was founded in 1944, originally as a provincial crown corporation in Saskatchewan. The company’s mandate was to provide affordable insurance protection to the people, and SGI has continued this promise. In 1980, through a change in The Automobile Accident Insurance Act and The Saskatchewan Government Insurance Act, SGI Canada was formed. 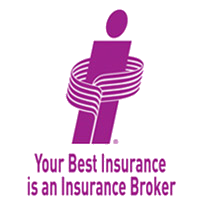 SGI offers property and casualty insurance products through its independent insurance broker network. It currently offers insurance coverage in 5 provinces, including Ontario and Alberta. In 2001, SGI purchased Coachman Insurance Company, a leading provider in high risk auto insurance, allowing the company to extend its insurance product offerings. ThinkInsure is an SGI Insurance broker, and we can help you get home and auto insurance quotes. Get an SGI Canada insurance quote today by calling us at 1-855-550-5515. Cost effective insurance solutions : SGI is dedicated to providing cost effective home and auto insurance solutions. Insurance discounts : SGI insurance policy holders can qualify for a variety of home and auto insurance discounts to save money on insurance coverage. Ontario and Alberta insurance coverage : SGI offers a variety of car and home insurance products to residents in Ontario, Alberta, as well as in other provinces throughout Canada. High risk auto insurance coverage : Through its subsidiary, Coachman Insurance, SGI offers high risk auto insurance coverage to drivers who have difficulty getting car insurance coverage. SGI offers condo insurance coverage, providing you with protection for your personal belongings, outdoor property, liability and even your identity. Are you a renter? SGI offers the tenant insurance coverage you need through their Tenant Pak product. This includes coverage for your personal items, liability coverage, and even identity theft. SGI offers specialized farm insurance coverage to protect your operation. Through the Agro Pak insurance product, you can get coverage to protect your home, business, land, barns, livestock, machinery and much more. Add additional coverage such as personal and farm liability coverage, mass evacuation expenses, protection from inflation, and more. SGI offers surety bond options that are prepared in-house by expert analysts. SGI has more than 50 years’ experience in providing surety bonds and can help you improve your odds of winning contracts and enhancing your professional reputation. Contact us today toll-free at 1-855-550-5515 and a ThinkInsure Broker can help you get an insurance quote from SGI Canada.